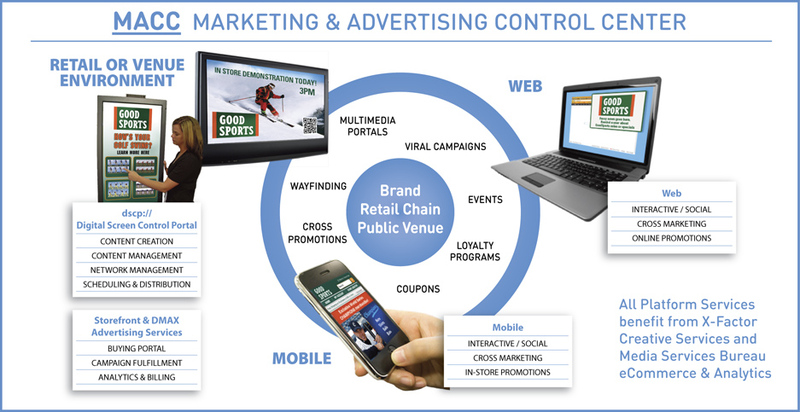 By pulling together multiple products and services available from X-Factor, and by leveraging our unique dmcp:// Digital Media Control Platform, we make marketing and advertising campaigns - internal and corporate communications - more compelling, and easier all around. 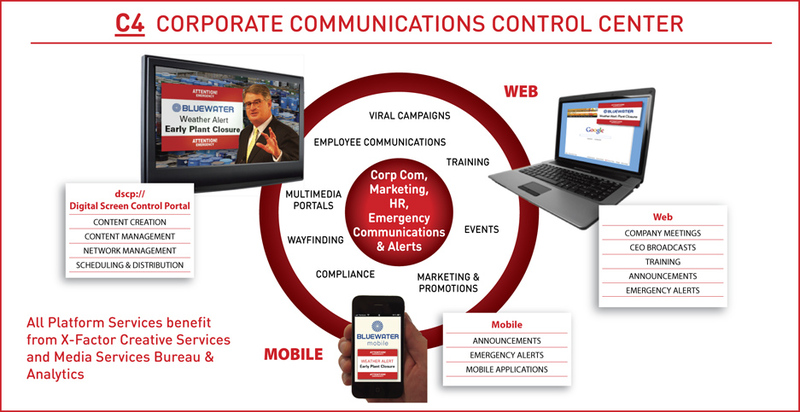 With our intuitive user interfaces, powerful databases, ad network management and exchange technologies, the art of digital "immersion" is now available to every brand and company providing the ability to reach consumers, employees and partners on all their "screens"..
X-Factor's exclusive C4 Corporate Communications Control Center is a platform for multi-media, multi-channel and multi-dimensional internal and external corporate communications, designed by experts to serve modern enterprises. X-Factor is a leader in developing and supporting software-driven solutions for, digital media network owners whose footprint can be monetized by providing "ad and marketing space" for internal and third-party advertisers.